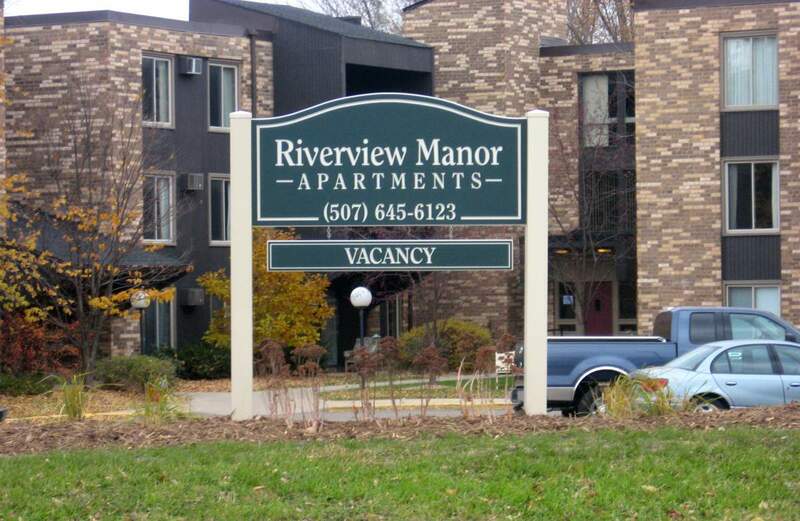 Riverview Manor is a modern, pet-free, 48 unit apartment complex situated in beautiful Northfield, MN. Located within easly walking distance of shopping, the colleges and bus stops, this clean, quiet, well maintained property boasts spacious units, roomy bathrooms, all electric kitchens, large closets, on site laundry facilities, elevator, BBQ and picnic areas, beautiful landscaped grounds, patios or balconies and a controlled access entry system all in a great, friendly community. High speed internet is available, as well. Heat, water & garbage are all included in your rent . There is plenty of offstreet parking and individual garages are available. Call or e-mail our office for more information. We look forward to welcoming you home. 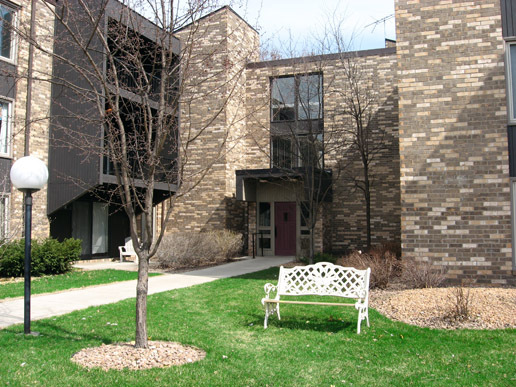 Modern, pet-free, 48 unit apartment complex situated in beautiful Northfield, MN. 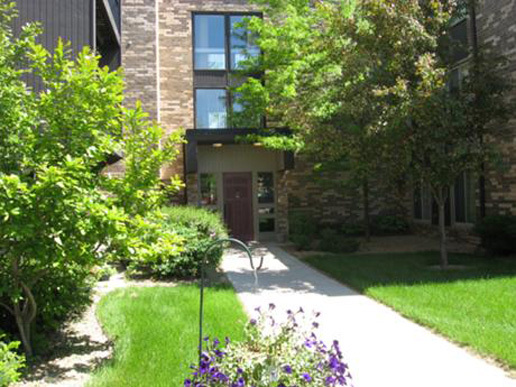 Walking distance to shopping, the colleges, bus stops & more.